>Happy to see Corner Bistro’s Burger can still make it to # 1 Best of New York list these days. I’ve been eating Cheeseburgers there since 1984. Yes 26 Years of Bistro Burgers. 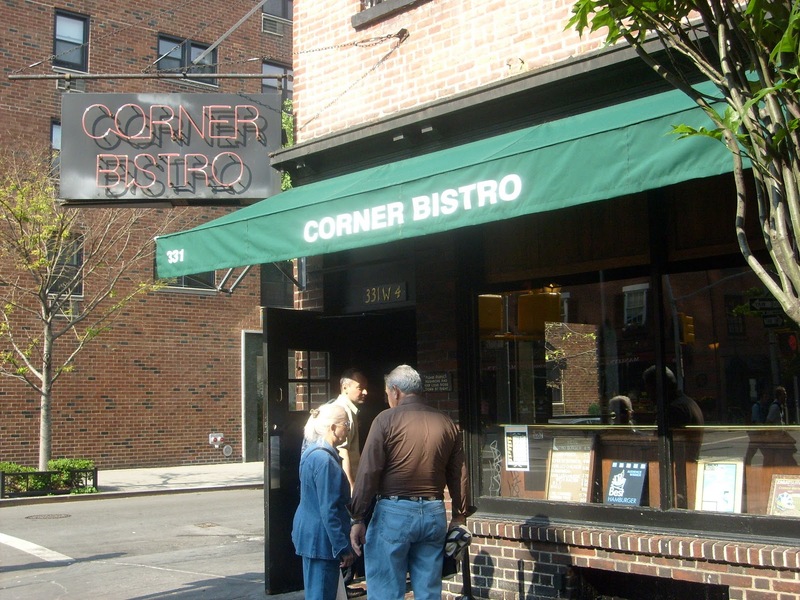 Back then, the Burger at the Corner Bistro was for Year-After-Year thee perennial favorite, # 1, Top, Best Burger in New York, rated by the Top and most Powerful food Authorities of the day, New York Magazine, The NY Times, Cue Magazine, The Post, The Village Voice, GQ, Bob Lape on 7’s Eyewitness News, The Daily News, so on and so forth. Nine out of ten people, newspapers, and news agency’s, The Bistro Burger was always “Tops,” # 1. It no longer is. And it was tops for some 30 years. Quite a run. Sadly the quality of the Burger has gone down a bit, and there are numerous chemistry better, tastier Burgers in town. Shake Shack get my Vote for the Top, New York’s best Burger, with Bills Bar and Burger and Peter Luger not far behind. But the Shake Shack Burger has all the proper elements that come together and make for perfect chemistry of, dear I say, “The Perfect Burger.” Well if not the perfect Burger, New York’s Best, or at least amongst the Best, everyone has their opinion. Some not as qualified as others. As I’ve been eating the East Coast’s Best Burgers since childhood, and being a former Chef Culinary Professional, I have greater qualifications than most.